Hollywood spent years courting China. Now Trump's tariffs could demolish those deals. “This is like a blind, drunken bull crashing into a China shop,” said one Hollywood insider. Hollywood has spent years building a financial and cultural Silk Road to China, courting investments and chasing what will soon be the world’s number-one market. President Donald Trump’s escalating trade war with Beijing threatens to demolish all that. “We have been ripped off by China for a long time,” said Trump last week, announcing that he is ready to slap tariffs on $500 billion worth of Chinese imports, further escalating tensions. “I’m not doing this for politics, I’m doing this to do the right thing for our country,” Trump told CNBC in an interview. But in the bamboo-lined corner offices of Hollywood studios and back lots, there is a growing sense that China could retaliate, bringing an industry synonymous with America itself to its knees. “The consensus is that this is catastrophic for Hollywood, for its major source of funding and major overseas market,” Rob Cain, partner at Pacific Bridge Pictures and founder of ChinaFilmBiz.com, told NBC News. “Things were already very delicate and fraught. This is like a blind, drunken bull crashing into a China shop,” he said. American movie attendance is at a 22-year low, but theatre-goers still spend more money than anyone else in the world — to the tune of $11.1 billion last year. The burgeoning Chinese market is catching up fast, with consumers spending some $8.6 billion in 2017, according to media analytics company ComScore. And while some U.S. movies have had modest success at home, they’ve met with critical success in the Chinese market, such as “Skyscraper,” starring Dwayne "The Rock" Johnson. Yet China remains very protectionist about which movies it allows to be shown. Hollywood studios and their trade body, The Motion Picture Association of America, had hoped to renegotiate a 2012 agreement that limits the number of U.S. films in the Chinese market at 34 and prevents U.S. companies from taking more than 25 percent of box office revenue. President Trump’s bluster could be aimed at hurting the largely left-leaning Hollywood film industry, said Cain. “The only reason to do that is to spark a retaliation against Hollywood,” he told NBC News. "Chinese investors are fearful there might be retaliation from the Communist party simply for sending money out of the country for a U.S.-based film,” said Cain, who is currently developing a movie with Chinese financial backing. He fears that money for the project may not end up in the firm’s bank account because of concerns that it will be harder to get American-made movies into the Chinese market if the rhetoric continues. While China has pulled back in recent years after a period of lavish spending on Hollywood acquisitions, including the Wanda Group laying out $3.5 billion for Legendary Entertainment and snapping up cinema chain AMC Entertainment for $2.6 billion — money is still available for smaller-scale investment and for co-productions. 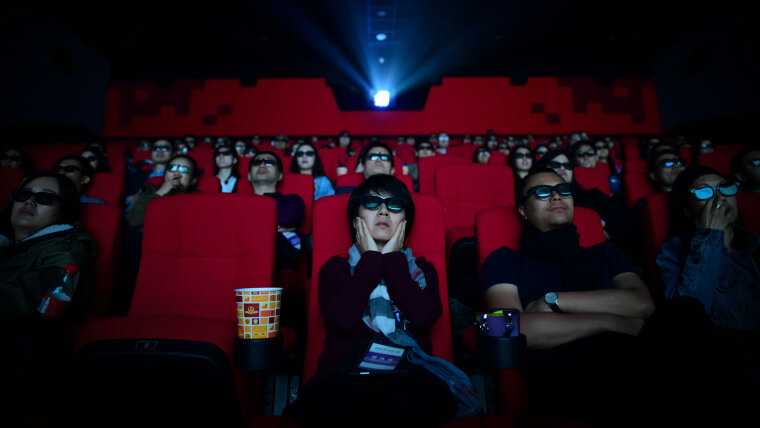 And while the Chinese are certainly frustrated by the current friction between Washington and Beijing, they’ve already invested a lot of capital and energy in growing their own market and tapping U.S. expertise to help build new cinema screens. For this reason, any moves by China to deliberately hurt Hollywood would be counterproductive, said one insider who preferred to remain anonymous.